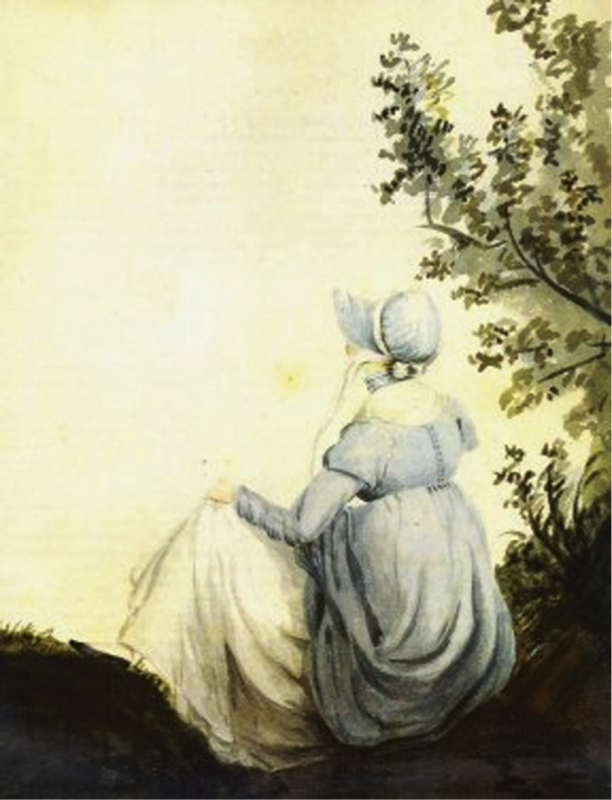 How Austen’s Characters Respond to Stress – Faith, Science, Joy, … and Jane Austen! I recently read The Upside of Stress: Why Stress is Good for You and How to Get Good at It, by Kelly McGonigal. This fascinating book is based on many scientific studies in psychology. It turned my ideas about stress upside down. In my last post, “Finding the Good in Holiday Stress,” I shared some thoughts from it. While McGonigal doesn’t talk about Jane Austen, some of Austen’s characters can give us examples. We’ve all heard of the “fight-or-flight” response to stress. This is necessary for immediate dangers, where we might be injured or killed. It enables us to protect ourselves or escape danger. It’s helpful for short periods of time. But if we respond in this way to other types of stress, it can be damaging. Mr. Bennet flies to his library in times of stress; he is not happy when problems follow him there! In Pride and Prejudice, Mr. Bennet copes with stress by flight; he withdraws to his study. This damages his family, since he does not deal with issues. Mrs. Bennet copes by grumbling and complaining, her way of trying to change the situation. In extreme stress, when Lydia runs off with Wickham, she withdraws to her bedroom and yields to her “nerves.” Both are unhelpful ways to cope. However, we do have a choice. Once we recognize that stress can benefit us, we can change our body’s response to a “challenge response.” That fast-beating heart, tight stomach, and other stress symptoms can give us energy and strength to face our challenges well. Elizabeth Bennet chose this response when she felt Darcy was challenging her. Her courage rose and she responded with laughter and her own challenges to him. When Lady Catherine confronted her, she also responded with rising courage and direct answers to her ladyship’s contempt. Public speaking makes most people tense and anxious. In one study McGonigal quotes, researchers spoke to people about to give a speech. They told them their body’s stress responses were good and would help them to speak better. This understanding enabled them to give better speeches! They were still stressed, but they used the stress in action. Naval officers had to convert a “fight or flight” response into a “challenge” response. Captain Wentworth in Persuasion and Jane Austen’s naval brothers must have learned to channel the “fight-or-flight” impulse they experienced in battle into a “challenge” response. This enabled them to make good, quick decisions to protect their ships and their men. Protecting their men would also be a “tend-and-befriend response” to stress. A “tend-and-befriend” response leads us to protect and care for those we love. We also seek help from others for the situation. Caring for and connecting with other people helps us use our stress in positive ways. They also make our physical reactions much healthier. In Sense and Sensibility, Marianne Dashwood increases her own stress by turning inward, thinking only of herself. She feeds her pain until she becomes ill and almost dies. Obviously an unhealthy way to deal with stress. Lucy reveals that she is engaged to Edward. Elinor rises to the challenge, showing kindness to Lucy and to others in her life. Her sister Elinor, however, also under intense stress, turns outward. She treats others with kindness and encouragement, caring for their needs, showing love. This is a much healthier response, for herself and her friends and family. In another study McGonigal cites, people who felt pressed for time were either given some free time to spend for themselves, or given the same amount of time in which they helped someone else. Those who used the time for others, rather than themselves, came back to their own work feeling less stressed and more able to cope with their work. We feel sympathetic stress when someone we love is hurting. In another study, one person received electric shocks. A friend who came with them either held their hand or squeezed a ball. Those who held their friend’s hand found their own stress reduced. Those who squeezed a ball to calm themselves down found it ineffective. Just being there for a person in distress is much healthier than trying to relax without helping them. Anne Elliot visits and encourages a sick friend, Mrs. Smith. Her friend sews for poor people even in the midst of her own illness. Both are dealing well with their own stress. Anne Elliot in Persuasion deals with stresses—her family’s problems, the loss of the man she loved, then his return and his attraction to someone else. Like Elinor Dashwood, she deals with it by doing her duty. She cares for the tenants on her father’s estate. She looks after her hypochondriac sister and her sister’s children. She chooses to be useful rather than resentful. When Louisa is injured, Anne is accustomed to dealing with stress by harnessing it to think clearly and quickly. She figures out what to do and directs the others. Captain Wentworth finally sees her strength, and her exertions are rewarded with love. But even if that hadn’t happened, she had already found peace in the midst of her stresses by loving and caring for others. After a stressful experience, you may want to talk about it with others or analyze it yourself, seeing what you can learn from it. If we think it through carefully, we may find ways to better cope next time. And we may learn important life lessons. Stress yourself in the New Year! Stress can help people grow in many ways, especially if we can find meaning in it and connect it with our values. McGonigal recommends that you set an “annual stress goal.” Think, with your family, about how you and your family want to grow in the coming year. Then choose a project that will be “both meaningful and difficult.” Talk about how you expect it to challenge you, what you might be anxious about, and how you hope to grow through it. Then do it! First, though, you might want to read The Upside of Stress. It gives many more insights into benefits of stress and how to cope with past, present, and future stresses. McGonigal also has several videos on stress that you can watch on youtube, including this Ted Talk. What challenge might give you and your family more meaning, purpose, and growth in the coming year? Are there ways you can help your community? A new way you can love and serve a person or group? If it stresses you, plan to rise to the challenge, seek help and support from others, and see how you can learn and grow from it.